A lot of the most popular sci-fi books being released in the last few years are kind of downers. By that I mean their more ‘down to earth’ (sometimes literally) about humanity’s prospects of ever flying spaceships to the stars. They tamp down the magical thinking of classic pop sci-fi in favor of more realistic physics. Nothing can travel faster than the speed of light; we probably can’t even get close to it. There will never be a warp speed. Luke can’t fly a tiny X-Wing fighter to the Dagobah system. Han can’t complete the Kessel Run in 12 parsecs. And so, a bit of a downer. But once you get over the sobering ground-rules, most of these books are really great. You’ve got rollicking adventure (Seveneves, The Martian, the Expanse series). And who needs Hoth and Tatooine when you’ve got the mind-blowing landscapes of Mercury, Io, or Europa from books like 2312 and Blue Remembered Earth? All of these titles take place entirely in our own solar system. And their authors use this dose of realism, and the latest scientific insights, to create more interest and drama. As most authors know, sometimes adding limitations to your story can actually make it more compelling. 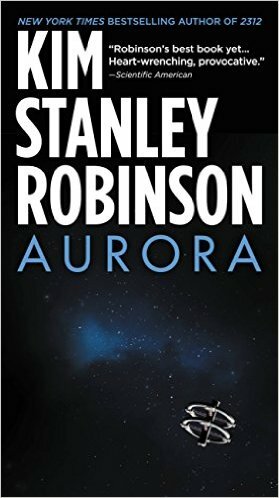 In July 2015, Kim Stanley Robinson (the writer of the aforementioned 2312) took this style of reality-check sci-fi to the next level with his novel, Aurora. The humans in his tale actually fly very far from Earth—ten lightyears away from our solar system. And yet, the interstellar problems they run into are far more overwhelming and unsolvable than the issues I’ve read in other ‘downer’ books. I won’t spoil the hardships here. It’s more fun (fun being a very relative term here) to discover these challenges as the would-be colonists do. Eventually, they run headlong into a problem that drives the final nail into their best-laid plans, and the spacefarers start to fight it out over what their next course of action should be. Troubles. Troubles. Everywhere troubles. The basic point of the book is that humans will never be able to establish life on other planets. And Robison presents very sound reasoning behind this premise. According to Aurora, Interstellar travel is an endeavor that is masochistic and—even worse—is anti-Darwinist. And it’s doomed to fail. As Robinson puts it, ‘life is a planetary expression.’ And our planet is Earth, so our species should never travel unreasonably far from our home. So this book was a bit of a sad read. In fact, by the time I got to the sixth part of the book and saw its title ‘The Hard Problem,’ I nearly had to put my Kindle down. So all the suicides and societal declines, civil war, birth issues, and diseases that the spacefarers had faced so far weren’t as hard as what was to come? Good lord! But I carried on. Robinson is always an extremely intelligent and intriguing writer, but some patience is required to read through his stuff. Then again, this patience is always rewarded. In the end, Aurora was a very thought-provoking read, and I think it will stick with me for a while. One of the most intriguing parts of the book is that—for the most part—it’s told by the spacefarers’ starship, which is semi-sentient and practically omniscient (because it has so many sensor devices scattered throughout its insides). At first, this makes the ship a typical 3rd-person omniscient narrator. Then the ship’s nascent A.I. complains that it doesn’t have the artistic qualities or even just the prioritization and self-editing skills needed to create an appealing narrative. 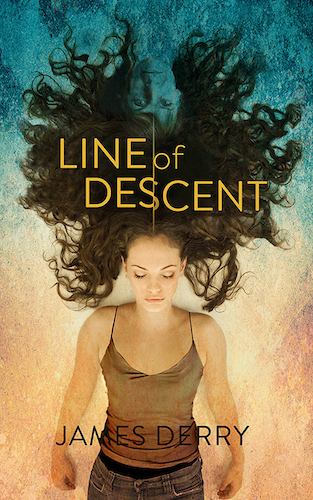 And indeed, many parts of the novel are told in a somewhat distant, meandering style. Eventually, the ship learns more about humanity from its subjects, and for a while it even begins philosophizing for long tracts of the book. Depending on what you’ve thought of the book so far, you might find these passages imminently skippable, or captivating. The narrative often turns esoteric. Robinson namedrops all kinds of scientific theories and concepts, and often he doesn’t explain what these concepts are. For a lay-person such as myself, these terms are like fascinating stumbling blocks. Sometimes I have trouble quantifying what is ‘Hard Sci-Fi.’ I don’t have any doubts that Aurora qualifies. It is a challenging read, but it also has a strong vein of veracity and courage running through its core. Even though Robinson’s view of phychics and biology is unflinchingly rational, his view of the human spirit (throughout all his work) is unfailingly compassionate and optimistic.